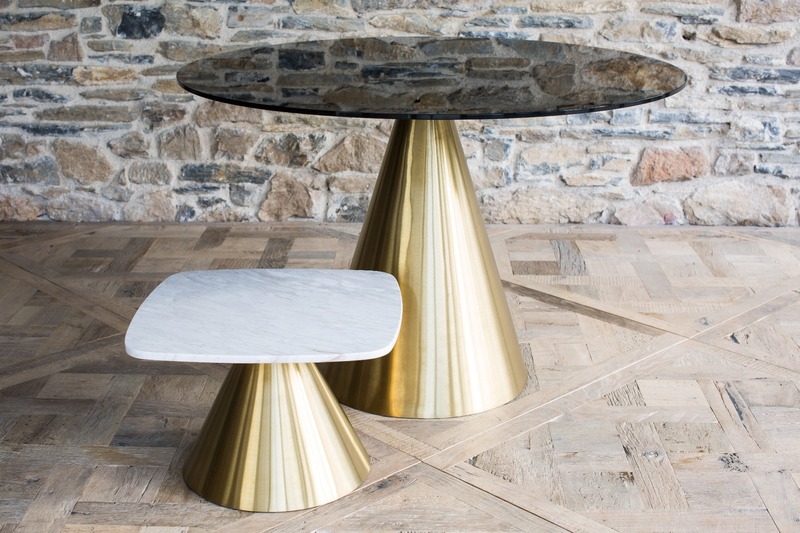 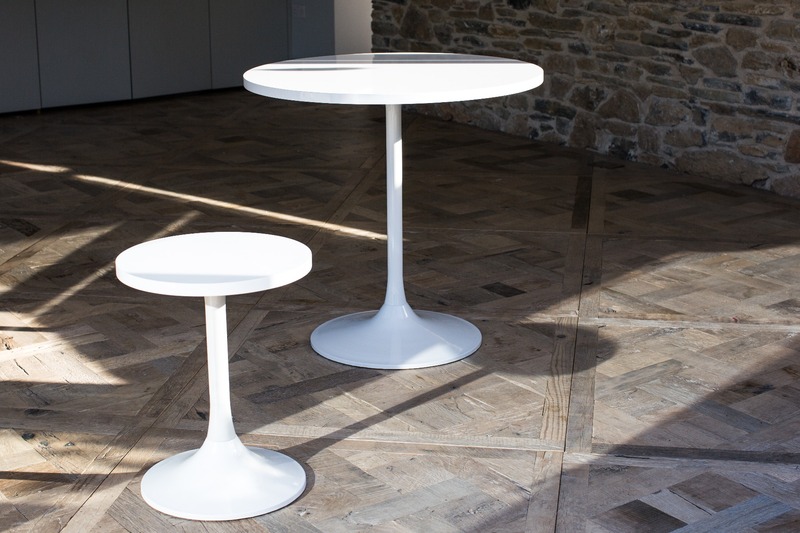 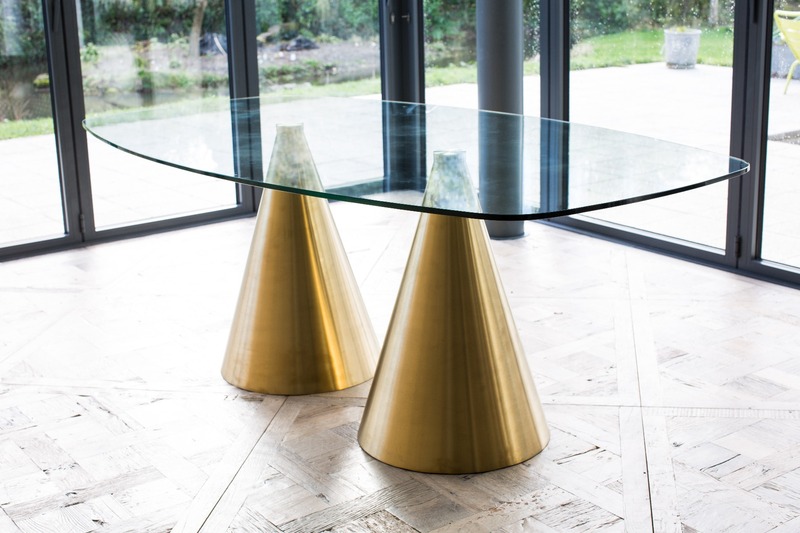 With its distinctive conical base the Oscar tables are real statement pieces. 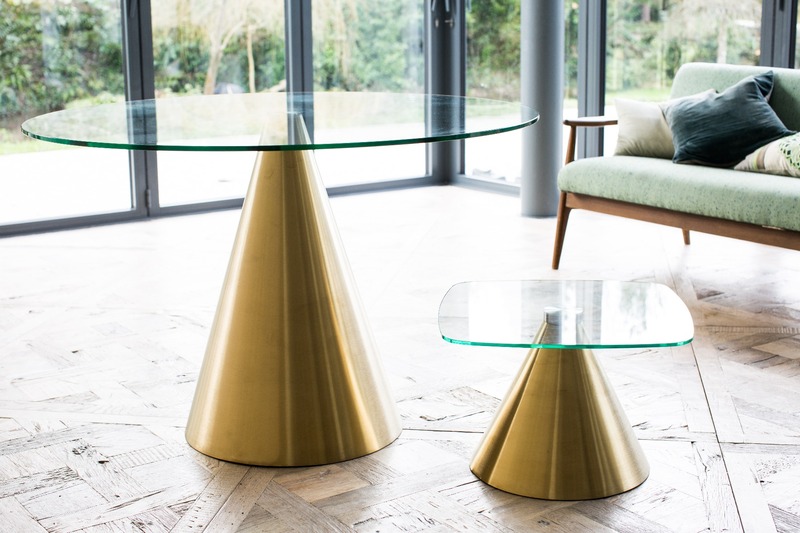 This unique choice of coffee and dining tables is characterized by the spun stainless steel bases finished in brushed brass plate which support elliptical square,elliptical rectangle and simple circular tops. 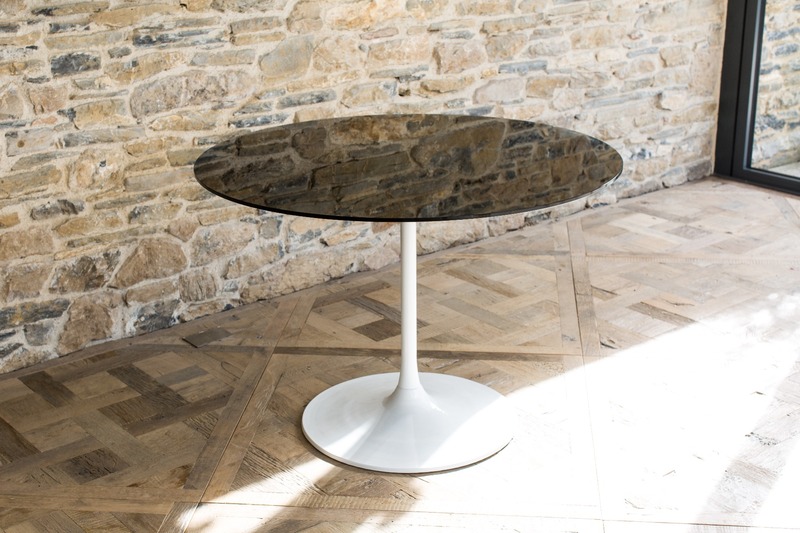 The top surfaces can be specified in white and black marble or black and clear glass. 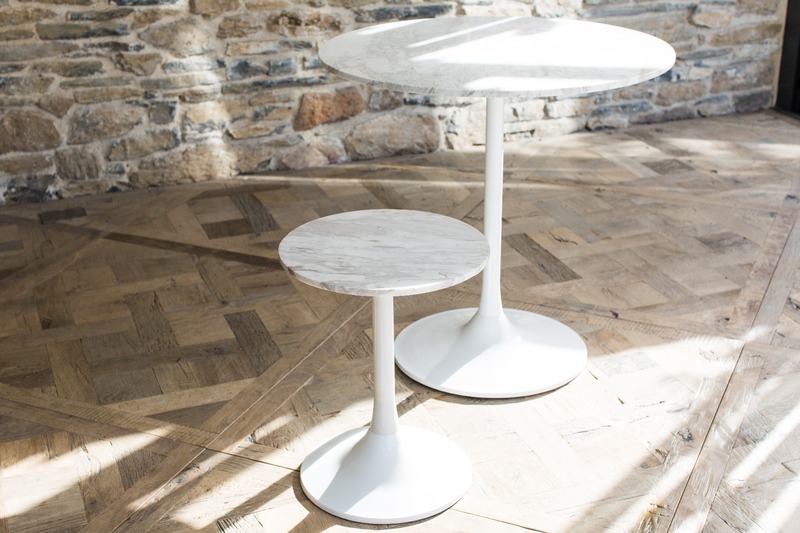 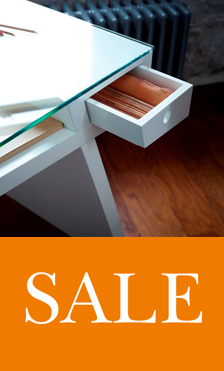 These delicate, luxurious tops contrast beautifully with the bold solid bases.